Personal trainers love to harp on their clients about the importance of performing exercises that support the core. Trainers focus on this muscle group because it acts as the center of your body and helps you utilize every other part of your body to maximum efficiency. While it's easy to hit the gym and only perform your usual cardio or strength-training routine, neglecting your core can have adverse effects on your everyday activities. Building core strength has been proven effective in managing and reducing back pain as well as better performing daily activities through increased functional ability. Strong abdominal and lower back muscles are essential for a strong body. The Valor Fitness DE-5 offers a complete workout for the ab muscles Rectus and Transversus Abdominus as well as the internal and external obliques. When preformed regularly, this exercise can help improve balance, posture and athletic performance. The chest pad can be adjusted to go behind the users back to perform reverse crunches and strengthen the lower back. 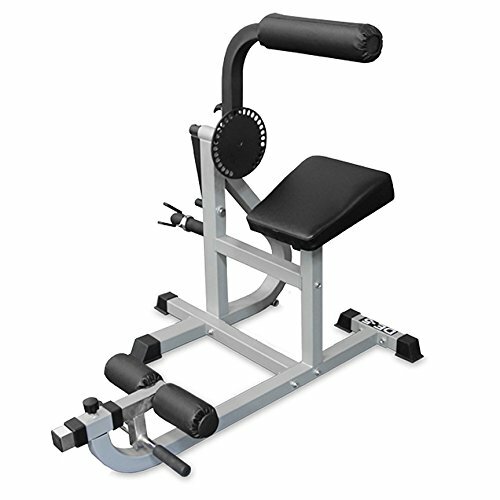 The Valor Fitness Ab/Back Machine offers several adjustments to create the perfect balance for a great abdominal and lower back workout. 9" long Olympic Adapter and Olympic Spring Clip included. Weight plates NOT included.